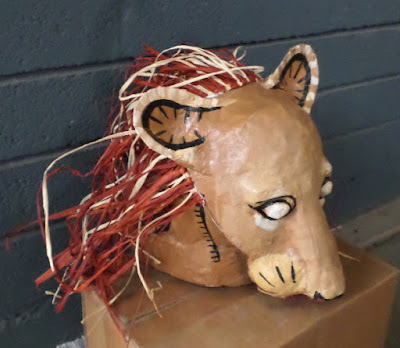 The last couple of weeks I've been working hard on lion head dresses and shipping them off to New York. This is my Simba head dress. 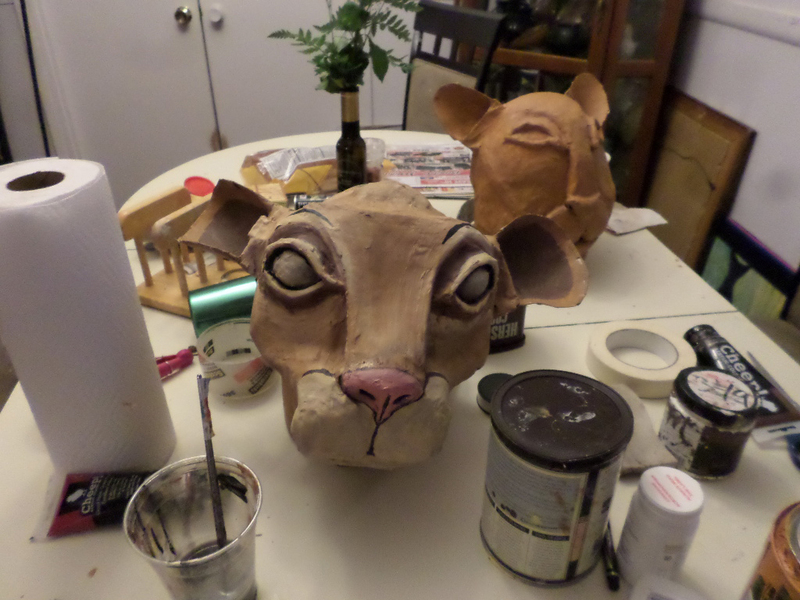 Scar, Young Simba and Queen Sarabi on the table and in progress. 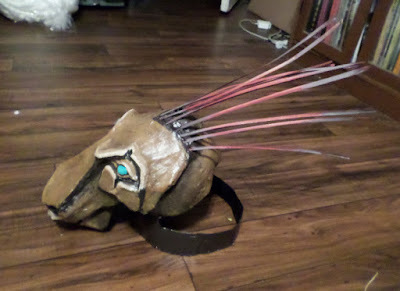 This is the Scar head dress finished and ready to ship. 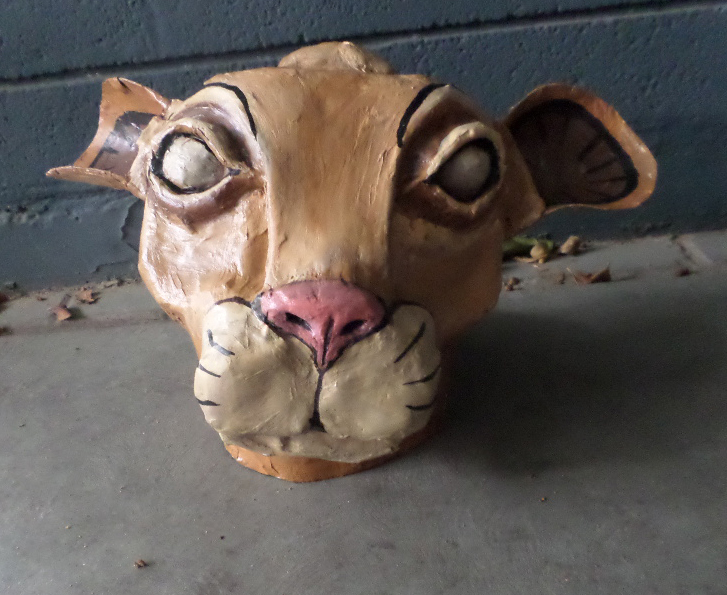 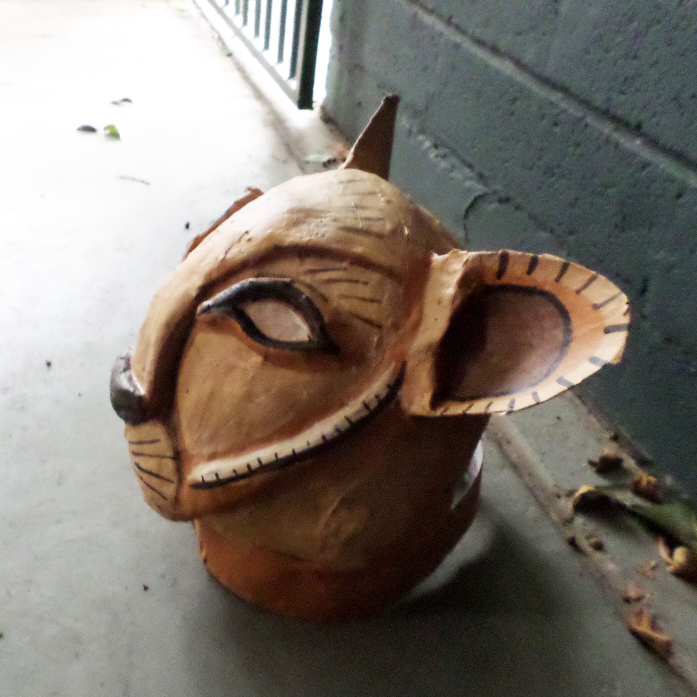 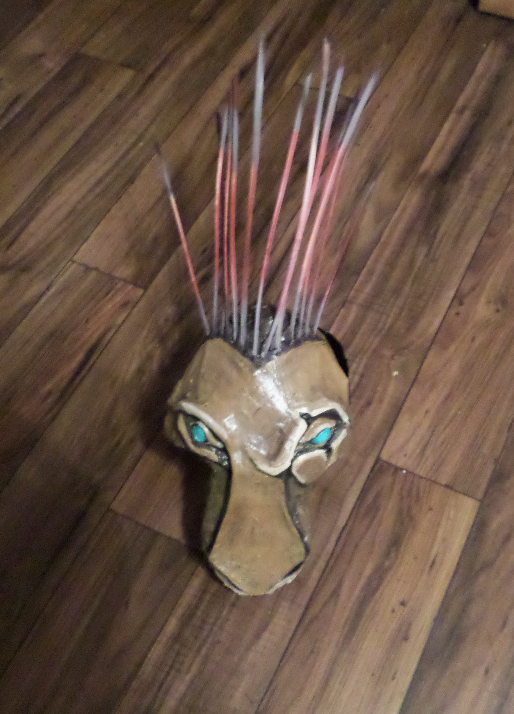 This is the Young Simba head dress after painting. And Queen Sarabi (Simba's Mother)-is almost ready to ship as well. 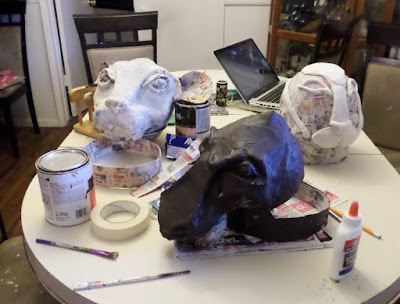 It's been a rather intense few weeks trying to get all these in for tech week, but the last go out on Tuesday. In other news I've been featured in the Arizona Artist a Day blog!! You can check it out here. 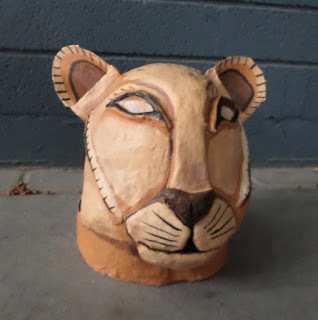 Also I had a panicky time this week where I was having a rapid heart beat and pain in my arm, so in my dazed fatigue (it was 2:30am) I rushed off to the ER only to discover my heart is fine (phew! ), though they did dose me with morphine for my pain (crazy stuff).